Flixton Conservative Club has been named the CAMRA National Club Of The Year for 2018. The Club has been Trafford & Hulme Club Of The Year for an unpresedented six years and has twice been named Greater Manchester Club Of The Year. All CAMRA members are invited to the club at 6pm on Wednesday 28th February for the presentation of the winners plague. 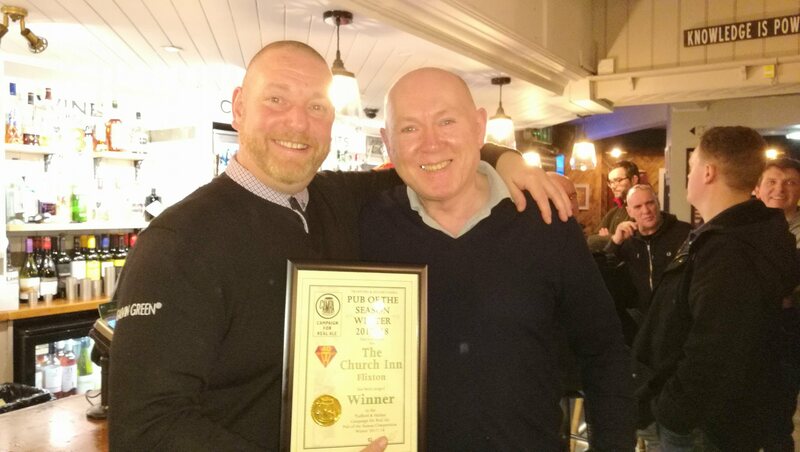 The Flixton Conservative Club in Manchester has won the prestigious Campaign for Real Ale (CAMRA) Club of the Year award after a recent transformation has seen an even wider range of real ales and ciders brought in. Please note that we recently sent an e-mail to all branch members who have agreed to receive them advising the date and location of the Branch AGM. We are aware that some members may have not received the e-mail and we are investigating the fault with CAMRA HQ. 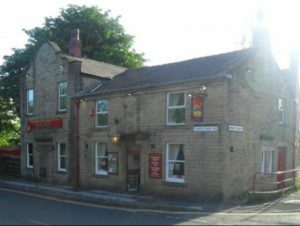 Bromley Cross residents have launched a petition in an attempt to persuade Star Pubs and Bars (Heineken UK) to reduce rents on the Railway, Chapeltown Road. The pub has been closed and boarded for over two years, and despite the owners stating they have plans for the venue no visible progress has been made. More on the Railway can be found on the Bolton News website, and the petition can be found here. Wednesday 21st February:Branch Meeting,John Gilbert Worsley 7.30pm. Wednesday 28th February:Leigh crawl,Spinning Jenny,Leigh 7.30pm. Plus two other pubs later. Wednesday 14th March:Worsley crawl,Barton Arms Worsley 7.30pm,Bridgewater Worsley. 8.30pm. Wednesday 28th March:Matchstick Man,Salford Quays 7.30pm then two others. Wednesday 14th February: GBG Selection,White Swan 7.30pm. 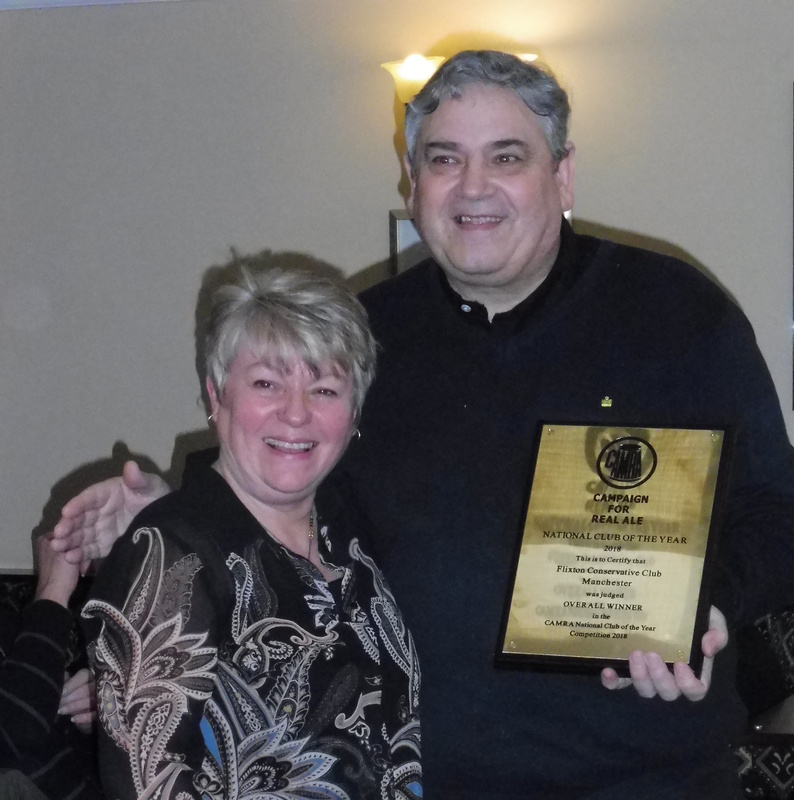 Here is Lance collecting the award from George Elmslie the Branch’s Social Secretary.